We fly in the evening, seven days a week subject to prior commitments. Our primary flying season is June-October, however, we operate year round, weather permitting. All scheduled flights are reserved in advance. Some dates book well in advance, others are available on short notice. We encourage you to book well in advance if the date(s) you are interested is (are) limited. For Gift Certificate / Boarding Passes to local customers, we take payment in advance, issue a boarding pass/gift certificate (good for a year), and book two dates, a primary date and a back up date (in case we are weathered out on the first date). For out of town visitors, the dates are frequently one shot deals, so for these potential flights we take a credit card to hold the date. We only charge the card in the event of a flight of or the unlikely event of a passenger no-show. Alternate payment for out of town visitors can be arranged the day of the flight, but we need a credit card to hold the date. We can not reserve more than one date without the purchase of a ride certificate. Our fee includes a Champagne, or Sparkling Grape Juice, toast and a commemorative pin. 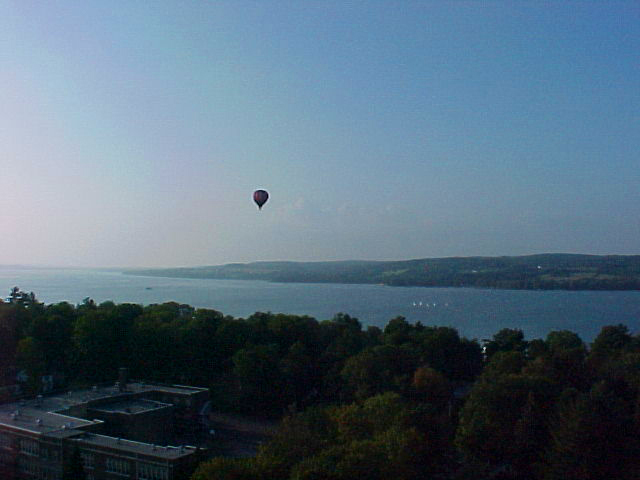 We are located in extreme western New York in Chautauqua County. Local flights can be conducted from the suitable field of your choice or from one of our many pre-approved launch sites. 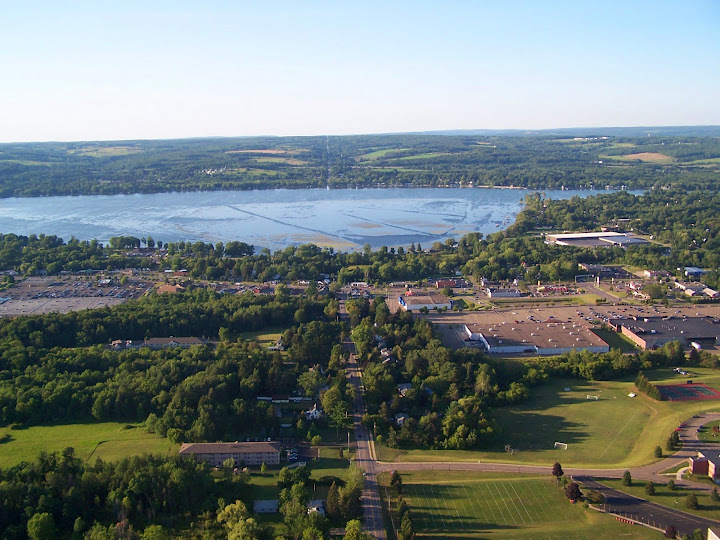 Most folks want to fly over Chautauqua Lake. We have a variety of sites that ring the lake. The launch site is subject to change dependent on what our passengers would like to fly over and the wind direction the day of the flight. We can generally predict the launch site the day before the flight, in the worst case we pick a launch site meeting place, by 3:00 pm, the day of the flight. For tether flights, the dates are frequently one shot deals, so for these potential flights we take a credit card to hold the date. We only charge the full fee to the card in the event of a flight, or the unlikely event of a cancellation, that is not weather related. Alternate payment of all but the booking fee can be arranged the day of the flight, but we need the booking fee and a credit card to hold the date. Generally we can lift 80-100 people during a two-hour tether operation, if folks are lined up and ready to go. 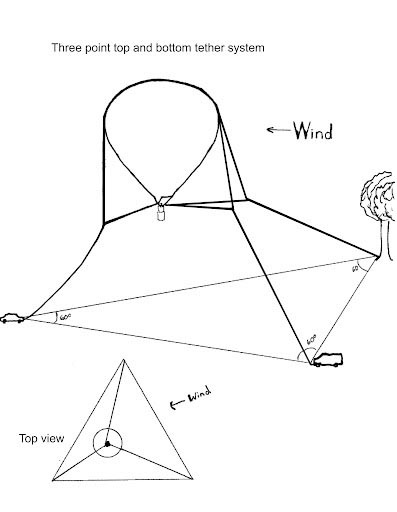 If you are requesting other proposals from other balloon companies, for comparison purposes, please consider we are the only balloon operation in the Western Great Lakes region with a three point, Top and Bottom, tether system. This is the highest system with the safest configuration available. We've been flying since 1988 and our equipment is state of the art and well maintained.